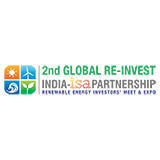 "India-ISA Partnership Renewable Energy Investors Meet & Expo"
RE-INVEST is a global platform to explore strategies for development and deployment of renewables. It showcases India’s clean energy market and the Government’s efforts to scale up capacity to meet the national energy demand in socially, economically and ecologically sustainable ways. Global RE-INVEST will build upon the success of RE-INVEST 2015 and provide an international forum to established players as well as new segments of investors and entrepreneurs to engage, ideate and innovate. It will host the First Assembly of International Solar Alliance (ISA) and the Meeting of the Energy Ministers of Indian Ocean Rim Association (IORA) countries. Position your company as a key player in the renewables market. 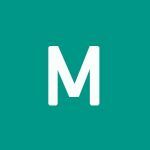 Reach out to thousands of international decision-making investors. Showcase capabilities, technologies, investment opportunities. Benchmark products and services against the best-in-class. Network and explore buyer-seller matches in new markets & Participate in G2B & B2B interactions. Organisers were clearly stressed out and some of them were rude when they didn't know the answer to simple questions such as who managed the shuttle service and if delegates had access to the dinner networking event on Day 1. If was really a great experience for me, I attended exhibitions of various companies, panel discussions on many topic. Good efforts we believe awareness discussion still needs to implement technology and modification continue till it automise.